TMP Curriculum - "Manhood is about being present, not perfect." Anyone who builds needs tools. Life coach, youth development expert and founder of The Manhood Project (TMP) Phil Black, gives an in-depth perspective of the foundation used to create this one of a kind program. 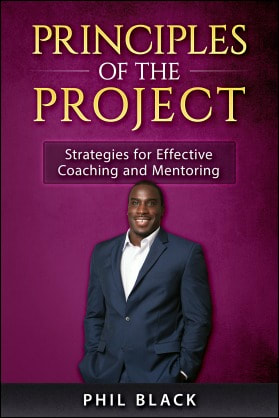 Designed as a companion guide for The Manhood Project curriculum manual or as a standalone text, this comprehensive background of TMP equips readers with the theory and practice needed for effective mentoring strategies. Whether you are an experienced mentor, or someone with the burning desire to make an impact in someone's life, Principles of The Project is just for you. 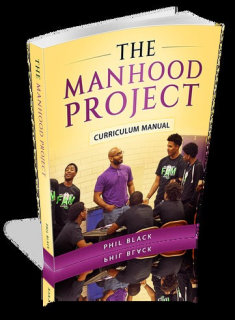 The Manhood Project Curriculum Manual serves as a guide to educators, community leaders, mentors, coaches and volunteers alike. This unique guide allows its users to implement the core lessons of TMP into afterschool programming, extracurricular activities or small group learning for youth within your area. The TMP Curriculum empowers you to guide participants through the process of self-discovery, while giving them the tools to make value centered decisions. If you have a mentoring program or plan to start one, you need The Manhood Project Curriculum Manual. Order both, Principles of The Project and The Manhood Project Curriculum Manual, at a reduced cost and get a free TMP T-shirt. *Note: Please include T-Shirt size with any additional instructions or feedback in the comment section of your order. *Please note: All orders from the tmp site will be signed by the author . There will be a shipping charge of $5.85 added to each order.